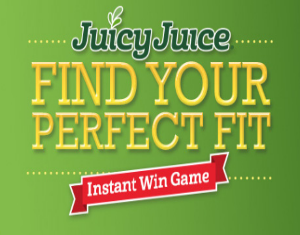 Juicy Juice’s Find Your Perfect Fit Instant Win Game and Sweepstakes – Win $2,500! ENTER SWEEPSTAKES HERE – Juicy Juice Facebook page. ENTRY LIMIT – Each participant, regardless of email address used, may Play the Instant Win Game one (1) time, per day, throughout the Promotion Period. ELIGIBILITY – The Promotion is open only to legal U.S. residents currently residing in any of the fifty (50) United States, or the District of Columbia, who are at least eighteen (18) years of age or older, or the age of majority in their jurisdiction of residence, whichever is greater, at the time of play/entry. SWEEPSTAKES ENTRY PERIOD – Juicy Juice’s Find Your Perfect Fit Instant Win Game and Sweepstakes begins on February 25, 2016 at 06:00:00 p.m. Eastern Time (“ET”) and ends on March 31, 2016 at 11:59:59 a.m. ET. (c) One thousand (1,000) Instant Prize winners will receive one (1) Juicy Juice product coupon redeemable for a Juicy Juice Product with a value of up to five dollars ($5). The Sweepstakes Grand Prize winner, once confirmed, will receive one (1) two thousand and five hundred dollar ($2,500) check. The ARV of the Sweepstakes Grand Prize is two thousand and five hundred dollars ($2,500). 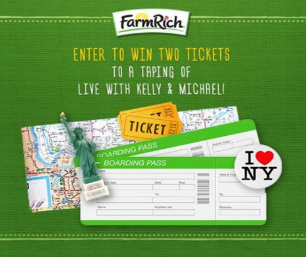 Farm Rich® LIVE with Kelly and Michael® Giveaway – Win a trip to NYC & more! Win a trip to NYC, tickets to LIVE with Kelly and Michael & a $500 Visa gift card! ENTER SWEEPSTAKES HERE – Farm Rich Facebook page. ELIGIBILITY – The Sweepstakes is open to legal US residents excluding Puerto Rico who are at least eighteen (18) years old at the time of entry, have an Internet connection and who maintain a Facebook account. SWEEPSTAKES ENTRY PERIOD – Sweepstakes begin at 9:00 a.m. (E.D.T.) on February 24th, 2016 and ends at 11:59 p.m. (E.D.T.) on March 2nd, 2016. PRIZES – The winner will receive two (2) tickets to LIVE with Kelly and Michael® show, two (2) round-trip Coach airline tickets to New York, New York to see the show, a two (2) night stay in New York, New York to attend a live taping of LIVE with Kelly and Michael® and a $500 VISA gift card for meals and ground transportation. The show tickets must be redeemed within one year of March 2nd, 2016 (by March 2nd, 2017). Date of attendance must be determined and confirmed one month in advance and is subject to show, airfare and hotel availability. Prize package has a total approximate retail value of $4,000.00. 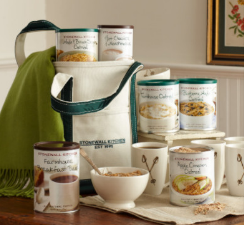 Stonewall Kitchen Winter Warm-Up Giveaway – Win Stonewall Kitchen products! Win Stonewall Kitchen products & a Garnet Hill Wool & Cashmere Throw! ELIGIBILITY – The Giveaway is open to legal residents of the United States and District of Columbia, who are eighteen (18) years of age or older at the time of entry or age of majority in their state of residence (which is eighteen (18) in most states but is nineteen (19) in Alabama and Nebraska and twenty-one (21) in Mississippi). SWEEPSTAKES ENTRY PERIOD – The “Stonewall Kitchen Winter Warm Up Giveaway” begins Wednesday, February 24, 2016 at 12:00:01 AM Eastern Daylight Time (“ET”) and ends Wednesday, March 9, 2016 at 11:59:59 PM. ET. 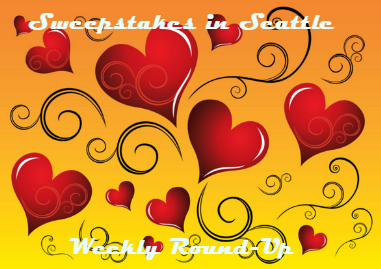 Sweepstakes in Seattle Weekly Round-Up 2/28 – Win a Harley-Davidson motorcycle, a Toyota Prius, gift cards & more! We had some sunshine for a little bit this week at my house. It made me want spring right now! We also had some nice sweepstakes with fabulous prizes – hopefully we’ll have some winners! Remember, Sundays I will only post the weekly round-up so you can get caught up and see if you missed any of the sweepstakes posted during the past week. Have a great Sunday and check back tomorrow for new sweepstakes! I’ll also share winner’s stories here, so if you win a prize, let me know and you can be a part of the weekly round up! No winners to report this week. Culturelle® Advanced Immune Defense™ Girls’ Night Out Sweepstakes – Win a $200 American Express gift card! 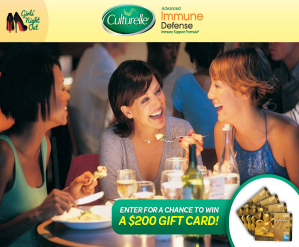 Win a $200 American Express gift card & Culturelle Advance Immune Defense (4 winners)! ENTRY LIMIT – You may enter the Sweepstakes once per day. SWEEPSTAKES ENTRY PERIOD – Sweepstakes Period: The Sweepstakes opens on Monday, February 15 at 12:00AM EST and ends on Wednesday, March 9 at 11:59PM EST. PRIZES – Four (4) grand prizewinners will be awarded a $200 American Express gift card each and Culturelle® Advanced Immune Defense™. Fifty (50) runner-up prizewinners will be awarded with Culturelle® Advanced Immune Defense™. 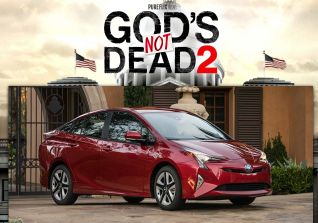 Pure Flix God’s Not Dead 2 The Movie Sweepstakes – Win a 2016 Toyota Prius! Win a 2016 Toyota Prius! ENTER SWEEPSTAKES HERE – Pure Flix Sweepstakes page. ENTRY LIMIT – Limit one (1) Entry per person/email address. ELIGIBILITY – SWEEPSTAKES ENTRANTS MUST BE U.S. CITIZENS WHO ARE LEGAL RESIDENTS OF THE FORTY-EIGHT (48) CONTIGUOUS UNITED STATES AND THE DISTRICT OF COLUMBIA WHO ARE AT LEAST EIGHTEEN (18) YEARS OLD AND LICENSED DRIVERS POSSESSING A VALID DRIVER’S LICENSE AT TIME OF ENTRY TO BE ELIGIBLE. SWEEPSTAKES ENTRY PERIOD – The God’s Not Dead 2 The Movie Sweepstakes begins at 12:01 AM Eastern Standard Time (“EST”) on February 15, 2016 and ends at 11:59:59 PM Eastern Daylight Savings Time (“EDT”) on April 15, 2016. Coke Zero™ NCAA® Basketball Sweepstakes at Cinemark – Win a trip for 2 to the NCAA Men’s Final Four! Win a trip for 2 to the NCAA Men’s Final Four! ENTER SWEEPSTAKES HERE – Coke Zero Sweepstakes page. 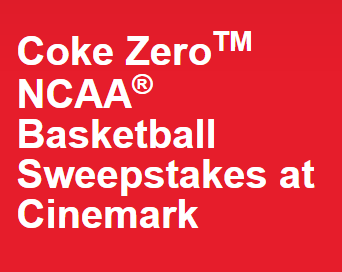 ELIGIBILITY – The Coke Zero NCAA Basketball Sweepstakes at Cinemark is open only to legal residents of the 50 United States (or the District of Columbia) who are 18 years of age or older at the time of entry. SWEEPSTAKES ENTRY PERIOD – The Sweepstakes begins at 12:00 a.m. Eastern Time (“ET”), February 19, 2016 and ends at 11:59 p.m. ET, March 17, 2016. PRIZES – 1 GRAND PRIZE: A trip for 2 to the 2016 NCAA Men’s Final Four® in Houston TX scheduled for April 2 – 4, 2016. Prize package consists of round trip, coach-class air transportation for 2 from a major airport near winner’s home (determined by Sponsor in its sole discretion); 4 nights’ accommodations at Sponsor’s choice of hotel (single room, double occupancy); 2 tickets to each of the 2 national semifinal games on April 2 and the championship game on April 4 (seat locations to be determined by Sponsor in its sole discretion); a $500 gift card, terms and conditions apply; and travel agent services. Travel must commence on April 1, 2016 and end on April 4, 2016. Approximate Retail Value (“ARV”): $7,540. 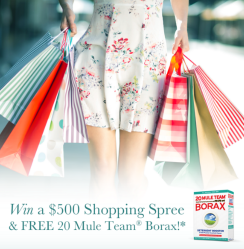 Borax “Fresh Start with 20 Mule Team Borax” Sweepstakes – Win a $500 Amazon gift card! Win a $500 Amazon gift card & a year supply of Borax! ENTER SWEEPSTAKES HERE – Borax Sweepstakes page. ENTRY LIMIT – Limit one (1) entry per person, per e-mail address, per day, during the promotion period. ELIGIBILITY – The “Fresh Start with 20 Mule Team Borax” Sweepstakes is open to legal residents of the fifty (50) United States and District of Columbia, who are at least eighteen (18) years old at time of entry. SWEEPSTAKES ENTRY PERIOD – Sweepstakes starts on or about 12:00 PM Pacific Time (“PT”) on February 23rd 2016 and ends at 3:00 PM PT on March 31st 2016. PRIZES – Grand Prize (1): One grand prize winner will receive $500 Amazon Gift Card and a year’s supply of 20 Mule Team Borax. Approximate Retail Value (ARV): $560.00. 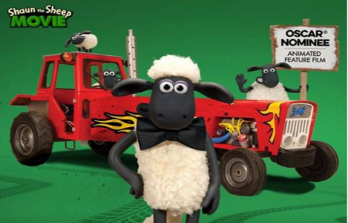 Serta’s “Strike a Pose” Sweepstakes – Win a Shaun the Sheep gift basket! Win a copy of the Shaun the Sheep movie & more (6 winners)! ENTER SWEEPSTAKES HERE – Serta Sweepstakes page. ENTRY LIMIT – ONLY ONE (1) ENTRY INTO THE SWEEPSTAKES PER PERSON PER DAY WILL BE ACCEPTED. ELIGIBILITY – Legal residents of the fifty (50) United States, and the District of Columbia, who are the age of majority or older are eligible to enter. SWEEPSTAKES ENTRY PERIOD – Serta’s “Strike a Pose” Sweepstakes begins on February 24, 2016 at 12:00 a.m. Central Standard Time (“CST”) and ends on March 6, 2016 at 11:59 p.m. CST. PRIZES – Six (6) Grand Prizes: Each Grand Prize winner will receive one (1) copy of the Shaun the Sheep movie; one (1) Shaun the Sheep ear headband; one (1) copy of the Shaun the Sheep Season 1 on DVD; and one (1) Serta Counting Sheep Plush toy. Approximate Retail Value of each Grand Prize is $60. 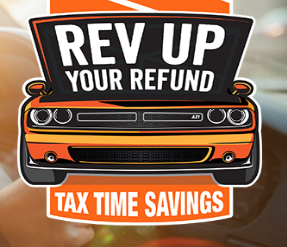 AutoZone 2016 Tax Time Sweepstakes & IWG – Win $5,000! ENTER SWEEPSTAKES HERE – AutoZone Sweepstakes page. ENTRY LIMIT – Limit of one (1) Entry and Game Play per Entrant per day. ELIGIBILITY – Open to legal residents of the fifty (50) United States, the District of Columbia, and Puerto Rico who are at least eighteen (18) years of age or older as of the date of entry. SWEEPSTAKES ENTRY PERIOD – The 2016 Tax Time Sweepstakes begins at 12:00 a.m. Central Time (“CT”) on February 9, 2016 and ends at 11:59 p.m. CT on March 22, 2016. PRIZES – Twelve (12) Grand Prizes [six (6) for each Entry Period] of $5,000 cash awarded in the form of a check. INSTANT WIN PRIZES: Three thousand (3,000) Instant Win Prizes (1,500 for each Entry Period), of a $10 AutoZone gift card will be awarded.